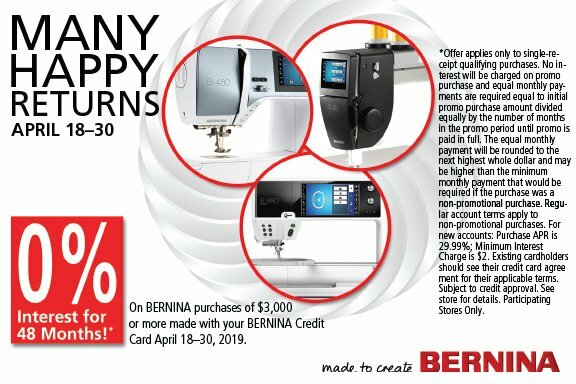 20% off Retail Price on any new Bernina machine! This store has been serving the Inland Empire, San Gabriel Valley and San Bernardino county for over 20 years. We specialize in selling top quality, dependable sewing machines and vacuums, as well as offering service and repair on all brands. We carry a large selection of quilting fabric and notions and teach an assortment of classes. Come visit us and take a stroll through our store to see everything we have to offer and to find inspiration for your next project!